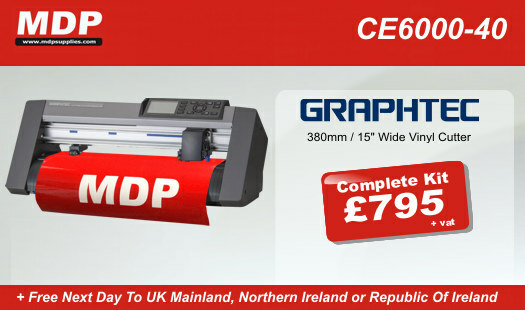 The Graphtec CE6000-40 vinyl cutter sets the standards for high performance cutting plotters. It features professional level functions including registration mark sensing, SmartFeed™ auto material pre-feed function for enhanced media tracking, and has more punch with its 300gf cutting force. And as it is a Graphtec you get exceptional build quality and reliability that is all backed up by a 1 year RTB warranty in the UK & Ireland.